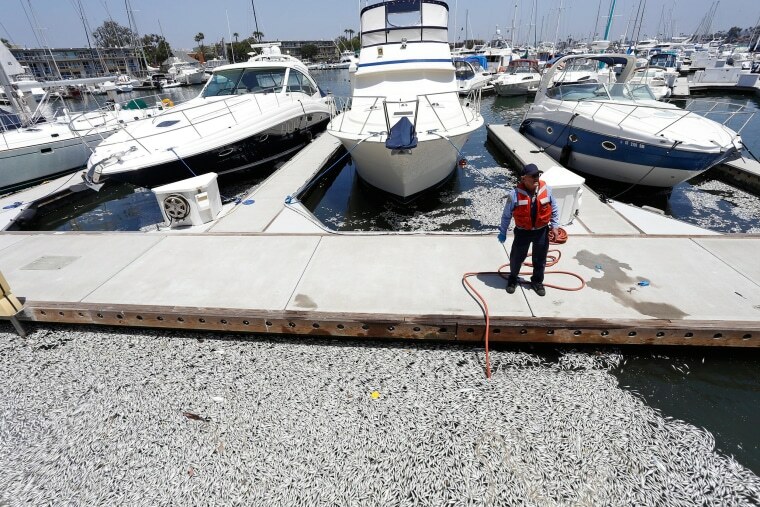 Thousands of dead fish have flooded one of seven basins at Marina Del Rey late Saturday evening. The first report came in just after 9 p.m. at the A-Basin located at 13000 block of Tahiti Way, officials said. Authorities said upon sheriff’s arrival at the reported location, they discovered thousands of dead fish floating in the water. It was not immediately known what caused these fish to die and wash up to the basin. California Fish and Game was called to the scene but are not expected to clean up the dead fish until later in the day, officials said. Authorities said the fish may have died due to a lack of oxygen. Officials are worried that the foul odor will cause a huge discomfort for both visitors and residents nearby.